If you want to be financially independent in your golden years, the earlier you start preparing, the better. We offer pension plans for employees and employers, so that you can say goodbye to punching the clock in style. Whoever you are and whatever your vision for retirement, you want to make sure that you’re set up to enjoy it to the fullest. Please speak with our advisors and find out how our financial solutions can set you up, for the future you deserve. If a job done well is its own reward, then the same must be true for a career done well. Even so, you want to make sure that when your career is put to bed, you and your loved ones will be taken care of. The best way to do that? Have a steady stream of income that you can rely on from your pension. 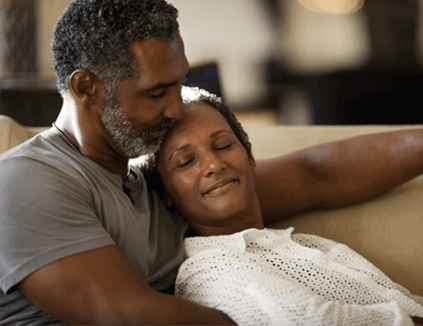 What can retirement benefits do for you and your loved ones? That depends on which plan you go with. We offer very competitive packages that allow you to enjoy your well-deserved retirement. If you are self-employed or employed by a company that does not have a pension plan you can achieve your retirement goals for yourself and reap some great benefits. Investment is tax-deductible In case of death, lump sum death benefit is payable to your beneficiaries based on allocations and the accumulated value of your retirement portfolio. Whatever your employer contributes to your pension fund belongs to you (rather than the traditional plan where employees have to wait years to be vested). See the monthly contributions made for your staff members, as well as the contributions made by the company. This is an opportunity to give all of your employees a pension (even if you’re a small business). Think of you and your employer working as a team, to contribute money to your retirement account. The contributions paid from all sources must not exceed 20% of your taxable income in any year (for example 10% from you and 10% from your employers). However if you are self-employed or your employer is not contributing you can contribute the maximum of 20% of your emoluments to your future self. The contributions and investment returns receive full tax relief and must be used to provide a tax-free cash sum and pension at your retirement. It’s easy. Just visit any of our locations island-wide to open your JMMB RS account. Make sure you bring the following documents with you. Proof of Residential Address (utility bill, mail with the post office stamp, bank statement). None of these can be more than three months old and must show your name and actual street address, not your P.O. Box number. Two (2) References from any of the following: Notary Public/Justice of the Peace, Police Officer at or above the rank of Inspector, Minister of Religion, Lawyer, Medical Doctor, Chartered Accountant, Current Employer, Banker’s reference, JMMB Group client of over two years, JMMB Team Member of over a year. Immediate family members cannot provide a reference.